Well-made, full of options and great-sounding. What a combo! Lots to get your brain around! 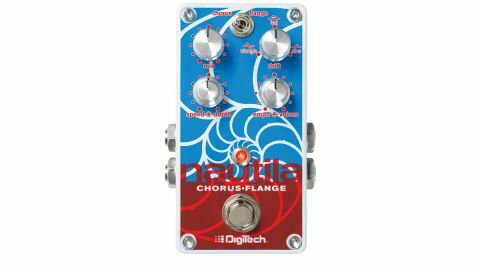 This sea-worthy offering from DigiTech delivers chorus and flange effects via an armada of controls. It offers up to eight chorus and four flange voices at once, as well as a drift knob, which transitions between waveforms. It's a lot to get your head round, but it sounds excellent, packing one of the richest flangers we've heard - as well as a hugely flexible chorus, which you can set to emphasise highs or lows via the appropriate knob. The drift control is most apparent on slow flange sweeps, but can deliver vibrato sounds and almost uni-vibe textures at faster chorus rates. Adaptable swirls, ahoy!